Texas Attorney General Ken Paxton is backing Wisconsin in a high-profile case asking the U.S. Supreme Court whether lawmakers can go too far when drawing political maps to advantage one party. Paxton, a Republican, filed an amicus brief seeking to protect the status quo in political gerrymandering — redistricting maneuvers that allow controlling parties to bolster their majorities in state Legislatures and Congress even when statewide demographics shift against them. Fifteen other states signed onto the brief. “Never has the U.S. Supreme Court disallowed a legislative map because of partisan gerrymandering, and it surely can’t find fault with Wisconsin’s, which is lawful, constitutional and follows traditional redistricting principles,” Paxton said in a statement Tuesday. 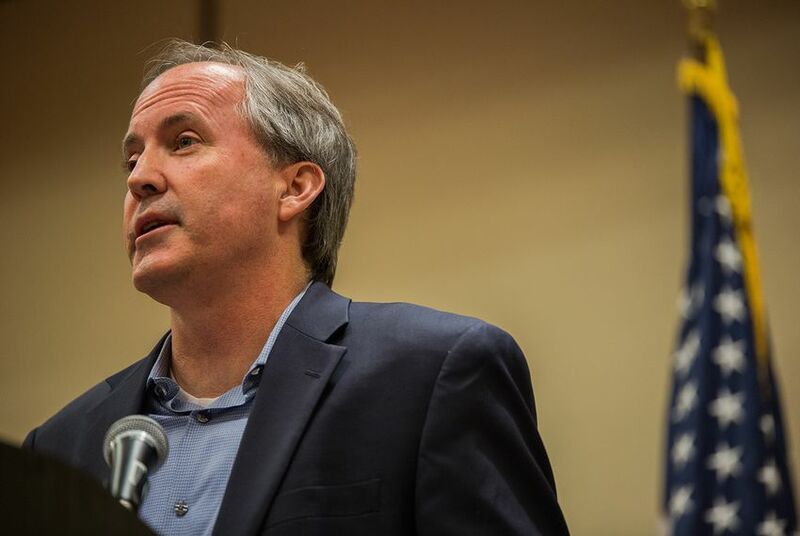 The filing comes as Paxton is defending Texas against a separate redistricting challenge. That one asks whether Republican lawmakers intentionally discriminated against Latino and black voters in enacting the state’s current House and congressional maps. A panel of three federal judges in San Antonio is expected to rule in the coming weeks. The outcome of the Wisconsin case, which the Supreme Court is scheduled to hear Oct. 3, could shake up politics across the country. “This will expose every state to litigation under a legal standard so indeterminate that any party that loses in the legislature has a plausible chance of overriding that policy decision in the courts,” the brief says. It’s unclear how the Wisconsin case could directly affect the pending case in Texas because of the different timelines and arguments being made. And the Supreme Court must also decide whether it has the jurisdiction to rule in the Wisconsin case, a question it left open in accepting the challenge. But if the high court ultimately establishes a new limit on the role politics can play in redistricting, it would almost certainly affect map-drawing in Texas going forward and give opponents of Texas’ current maps a new avenue to challenge them. Aside from Wisconsin, Texas is among seven states with particularly high partisan bias in their congressional maps, according to Michael Li, redistricting and voting counsel at New York University’s Brennan Center for Justice.